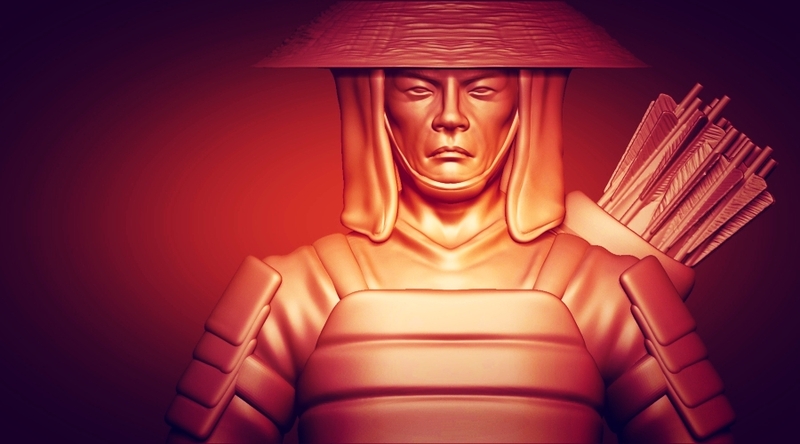 Today we are going to show off some of the hard work that has been kept under lock and key at Demigod Games. Specifically we are going to show off some miniatures and renders of some future miniatures that are either being prepared for production or are very close to being finished and prepared for production.I am presently weighing up the option of doing a pre-release run of some of these before launching some crowd funding early next year. For those who are unaware, our miniatures are 31mm scale. This essentially means that they are the same scale as most other popular wargaming ranges. A brief note on our design philosophy and approach. Each miniature is designed through a collaborative process between John and the artist, with the same fundamental philosophy being central to the process. 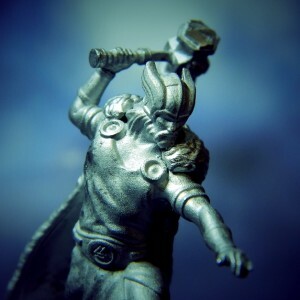 With our mythical units the initial approach it to look at what the unit would look like if it were real, this element of realism is a huge underpinning philosophy behind every miniature we produce. 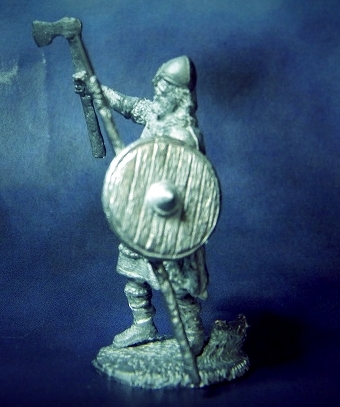 With the more historical miniatures, we always start with historical reference and then look to make them fit within the game and the range whilst being faithful to the history and still injecting a little artistic license. We have also gone for more realistic proportions on our models, again to try and keep things looking as realistic as possible. So without further adieu, here is a sneak peek of two units from each of the upcoming army for the Conquest of the Games that we have not already previewed (so we are not showing off the Norse troll within this preview). 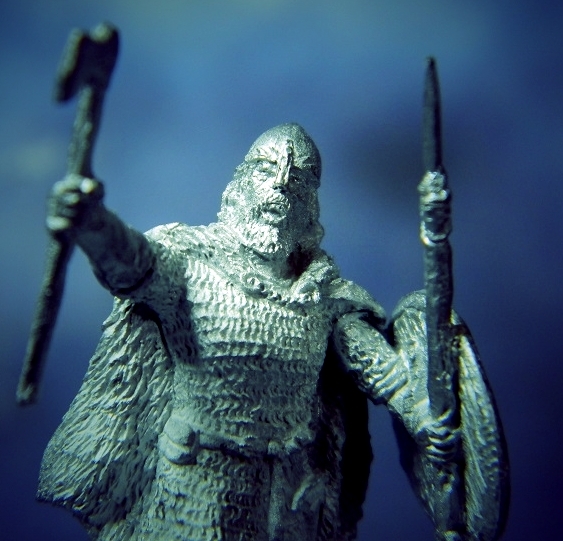 The hersir leads units of Norse vikings into battle. 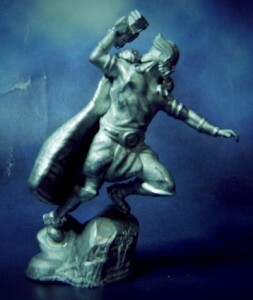 Sculpted by Chris Elizardo this is a 4 part miniature has been based on several historical references. Thor is the first ‘God’ miniature that will be released in our range. 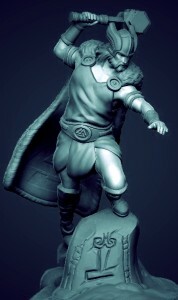 Sculpted by Kris Hammes, our rendition of Thor seeks to release a translation of the Norse god that is more Norse than superhero. 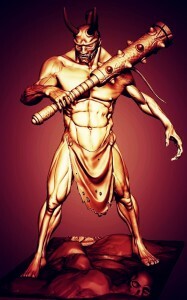 Leading phalanxes of hoplites, the strategos has been primarily designed on amour found in a number of museums, with some artistic license creeping in to the current iteration of the model. The render shown below is not the final version of this model as we are still reworking several smaller components (as we are on several other greek miniatures). 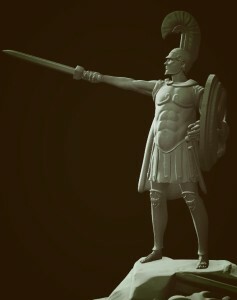 Several artists have been involved in the evolution of this and the other greek miniatures, all of whom we will try to credit once it is finished. 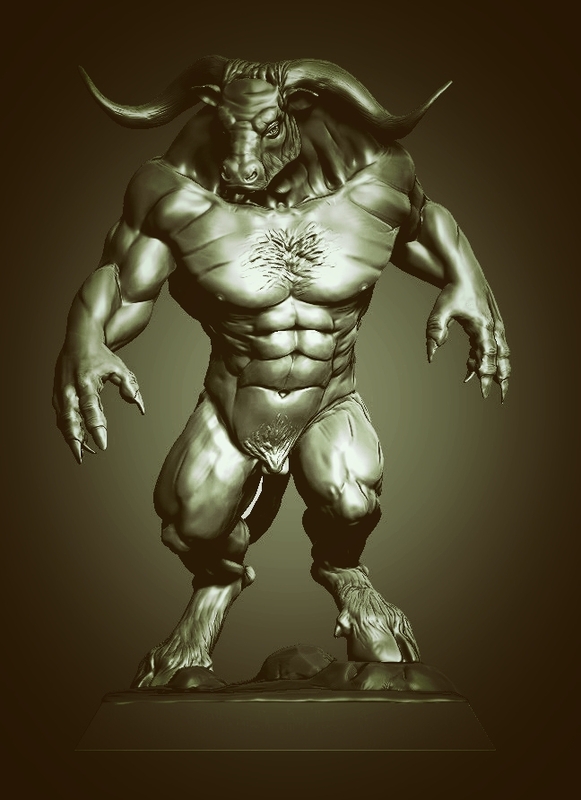 Sculpted by Michael Barnes, the Minotaur was another miniature that evolved to fit our setting and design philosophy. Standing at an intimidating 70mm scale, this bad boy is sure to attract allot of attention on the tabletop. 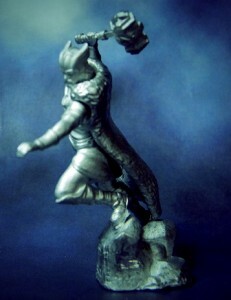 The Minotaur is in the final casting stages of production and pictures of the final production model should be available soon. This will be a resin and metal hybrid kit. Sculpted by several artists, this miniature will be sent to production soon. Again we have gone for historical accuracy. The minature posted below has gone through several changes since the render was made, it does however give you an indication of the direction we are going in with this one. 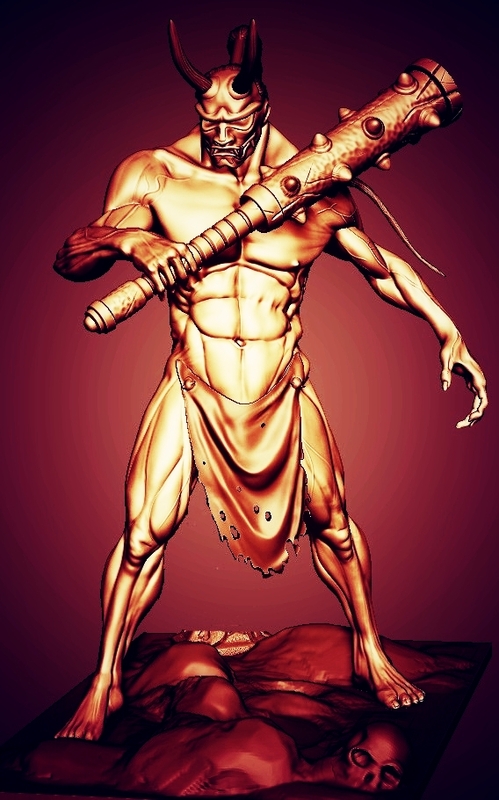 There has been several attempts at doing an Oni in the past, and for me they never quite looked right. Being a fan of Japanese tattoo art, the aim with this one was to bring to life the fearsome Japanese demon that is not only an important part of Japanese culture and mythology but also a fairly iconic creature in the wider artistic community. 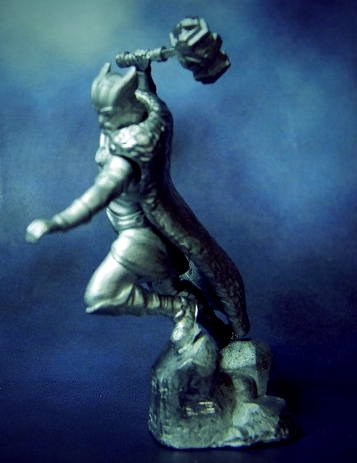 Like the Norse troll and the Greek Minotaur, this 70mm miniature that was expertly sculpted by Oliver Cook is ready to go to prototyping and we should see production casts of the final metal resin kit some time before before early January. 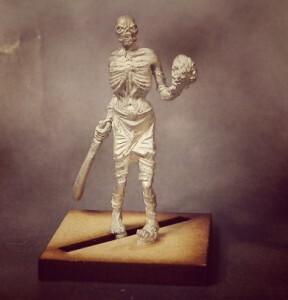 Our first mummy miniature was sculpted by Matthew Lavotha. Not shown on its final base, this was designed with the premise of what a real mummy would look like if it were reanimated. 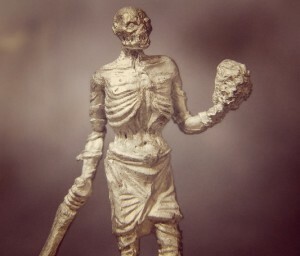 Based on several real mummy references were used from a number of museums, the end result is something we feel is unique and brings a more realistic looking mummy to the tabletop. 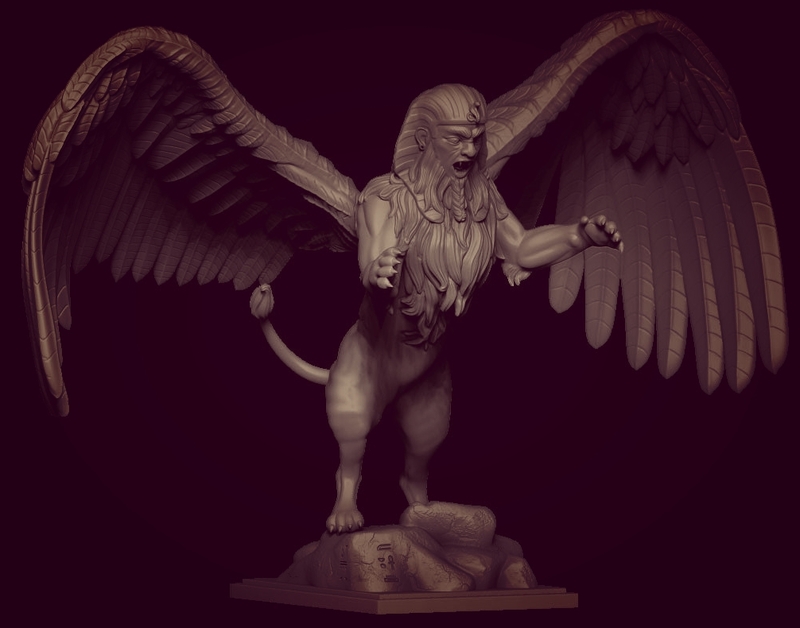 Sculpted by Carly Glover, the alpha sphinx is Demigod Games take on what a sphinx would look like if it were real. 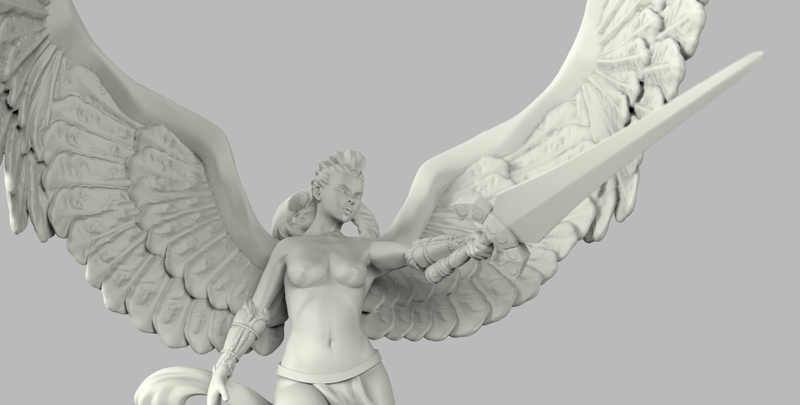 Some gamers have been wanting larger models, this massive miniature has a wingspan of 18cm and should make a great centerpiece to any egyptian army. 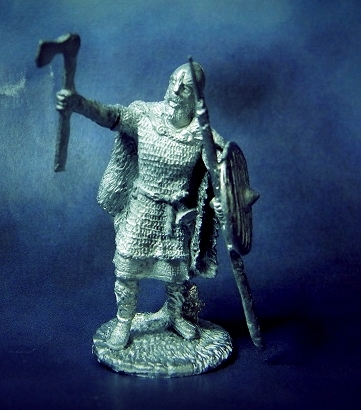 It is now ready for prototyping and we hope to see production casts of the final metal and resin kit ready by the end of January. I hope you enjoyed our first model preview. we will show off more updates like this (admittedly they will be smaller in size) over the coming weeks. If you have any questions, feel free to ask them below, like us on Facebook, or sign up and say hi over at our forums! 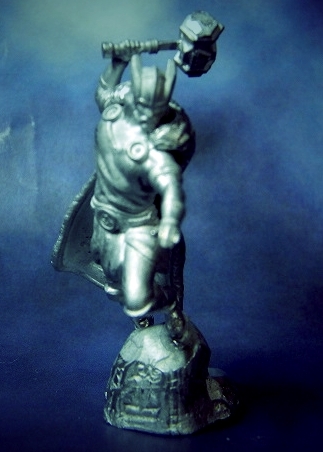 Journey from 3D into metal casts Valkyrie preview.